The most popular self hosted blogging platform, WordPress, has rolled out an upgrade, version 2.9, to all the users. This new version has few cool features to the end users and many awesome features for the plugin and theme developers. 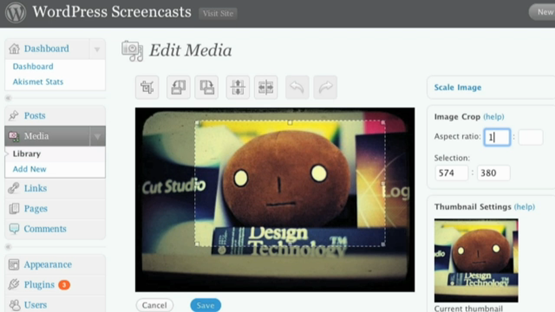 Built In Image Editor now allows you to crop, edit, rotate, flip, and scale your images right inside the WordPress. These are just the tip of many new media handling capabilities that are going to come in the future versions. Magic Video Embeds –Just paste the URL of the video and it will be embedded magically into the post. If you are a WordPress developer or a theme designer then you got loads of new features in this release. For a detailed list of these features read WordPress guru Aaron Brazell's 10 Things You Need to Know About WordPress 2.9. The new features of WordPress 2.9 is really tempting me to upgrade techdreams. But before I upgrade I want to make sure that existing theme and supporting plugins are compatible with the new version. So upgraded goodtimes(which uses techdreams theme and plugins) to make sure that everything is going to be smooth. As WordPress promises, the upgrade to 2.9 was very smooth. Tomorrow I'm going to upgrade techdreams to 2.9. What about you? When will you upgrade. I have already upgraded. I see no major issues. The Latest news from Yoast section in admin panel had a php error. 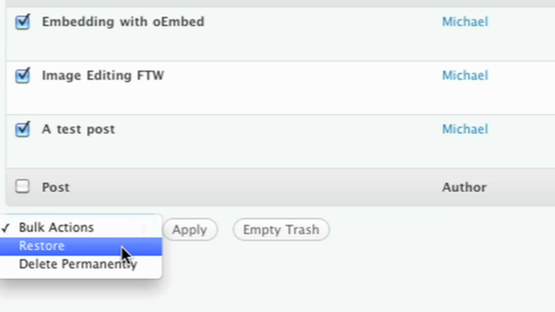 Batch plugin updat feature was in my wish list. I think I will upgrade my blog tonight.